Home /News /Research /What are the effects of nanoparticles? What are the effects of nanoparticles? Nanoscale structures enable geckos to crawl up walls, water droplets to form on lotus flowers or sharks to become swift hunters in the sea. For several years, researchers have been experimenting with developing their own nanoparticles which have astounding properties. However, the effects which these artificial particles have if they enter the human body are still largely unknown. An interdisciplinary team of researchers at FAU recently began studying these effects. Over the next four years, in the project ‘EAM Nanosafe’, working groups led by Prof. Dr. Christoph Alexiou from the Section of Experimental Oncology and Nanomedicine (SEON), Department of Otorhinolaryngology at Universitätsklinikum Erlangen, and Prof. Dr. Simone Schmitz-Spanke, Professor of Biomarkers in Occupational Medicine, will investigate nanoparticles which have been developed at FAU’s Cluster of Excellence ‘Engineering of Advanced Materials’ (EAM). What makes this project unique is that particle designers from the Cluster of Excellence and researchers who study the effect of particles on people and the environment are working closely together. The researchers will start by further developing existing methods which can be used to investigate the effects of nanoparticles, as there are currently no standardised procedures for analysing minute particles. They will be working with standardised particles like zinc oxide, titanium oxide and iron oxide which are already used in products such as paint, varnish, cosmetics and medication. The particles will primarily be provided by the Cluster of Excellence and will be delivered to the two working groups as a sterile powder or dissolved in special liquids. The second phase of the project will go beyond simple screening and will focus on the fundamental question of what the effects of nanoparticles are. In order to do this, EAM researchers in the working group led by Prof. Dr. Wolfgang Peukert from the Chair of Particle Technology have synthesised a large number of particle samples. They are produced using cutting-edge procedures in the liquid or gas phase, and with methods for synthesising, crushing, spraying and emulsifying. The samples differ from one another by only one parameter. This allows the researchers to test which parameters have a significant influence on the toxicity and the cellular effects, such as the size, the surface charge or doping – introducing an artificial impurity. For nanoparticles to be evaluated toxicologically, the researchers must also find out which concentration causes which kind of reaction in the cells. 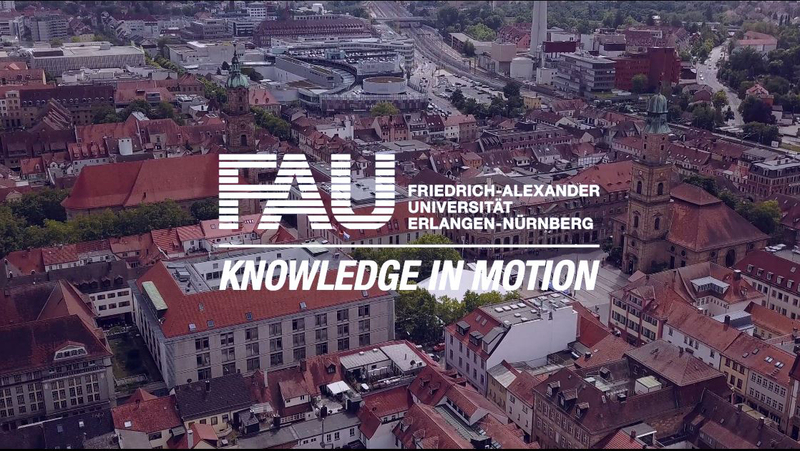 Another unique aspect of the project is that, in addition to the standardised particles, the researchers at FAU mainly want to investigate nanoparticles which have been developed at the Cluster of Excellence for specific applications. One example is iron oxide nanoparticles which could be used as a carrier for active ingredients in medication within a few years. By carrying out this work, the researchers are taking the first steps towards making these nanoparticles more biocompatible. The working group led by Prof. Alexiou has developed a new method that can be used to investigate which properties of nanoparticles cause cells to die and even allows them to do this for at several parameters at once. Occupational medicine expert Prof. Schmitz-Spanke and her team, on the other hand, will mainly be focusing on the effects of minute particles on lung cells and cells which cover blood vessels; lung cells because the lungs are the main point of entry for nanoparticles found in the environment and the workplace, and the blood vessels because epidemiological data suggests that exposure to nanoparticles, such as diesel exhaust particles, may increase the risk of cardiovascular disease. By combining different methods of analysis and collaborating across different disciplines, the researchers aim to find more robust evidence of how nanoparticles affect humans and the environment.